Having spent thousands of hours over many years in the oceans of the world, experienced a healthy share of encounters with creatures of the deep, has only ever fed my appreciation for all the ocean has to offer. This day, Steve Benjamin from www.animalocean.co.za asked me if I wanted to accompany him for a shore dive from the Cape Point Peninsula, near the tip of Africa. He explained that there had been a few days of exceptionally warm and clean pelagic water in False Bay, ideal conditions for some local pelagic fish species such as Yellowtail Amberjack and Katonkel (Skipjack) to come close enough to shore for us to access them without a boat. 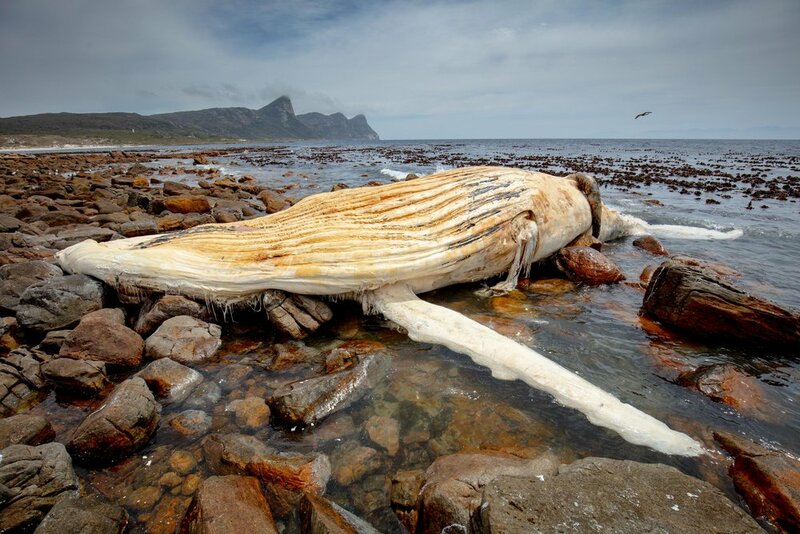 He also mentioned that because there had been a Humped Back whale carcass near by, we might even be lucky enough to see a few sharks, but nothing to worry about, as he assured me they were there for the whale carcass and not interested in humans as a source of food, but might just come close to investigate what we might be. 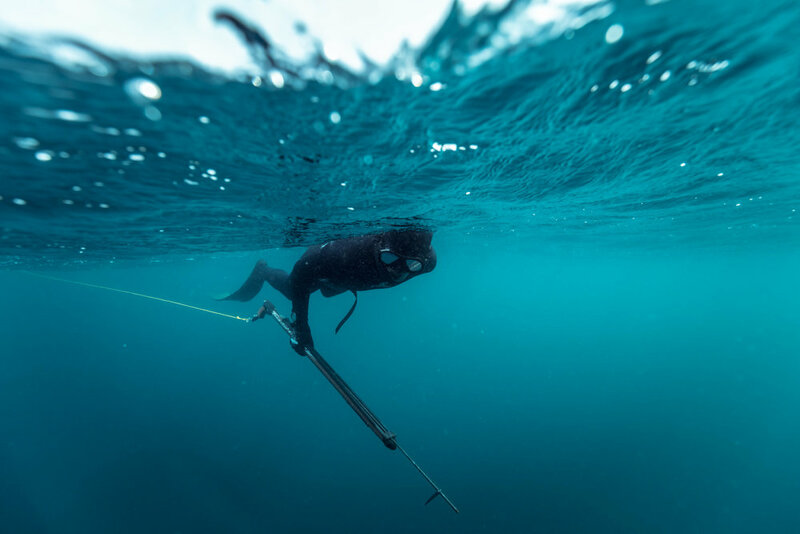 The mission was to suit up somewhat like a warrior, weight belt, goggle and snorkel, diving fins, slung around waist and shoulders, speargun and flasher, a selection of shiny lures to dangle in the water column and attract large predatory fish, in hand. Then walk from the last possible access point by car toward the southern tip of the peninsula, find a suitable spot to jump into the shallow kelp forest of the shoreline and swim out a few hundred meters to where the deep ocean meets shallow seafloor topography. 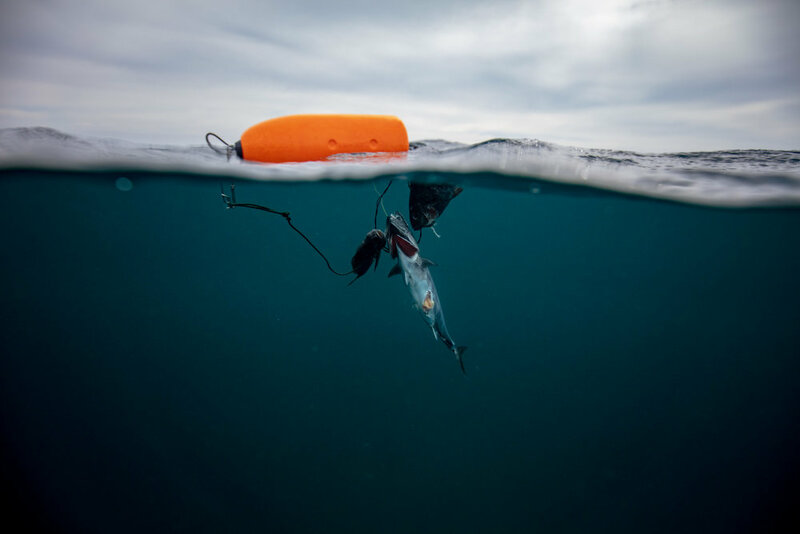 This would be the exact place where these pelagic species pass by, allowing Steve to use his speargun to shoot one of these fish, with the intention to be prepared and eaten later that day. A true test for anybody willing to call themselves a “real man”. I was just going to accompany him with a camera in housing. I went home that evening with far more than the images on my memory cards and vivid memories etched into my brain. There was an overwhelming sensation of life beating from my heart, throughout my body. I realised that we are missing so much of the beauty this planet has to offer and if we are to be the “incredible” human race we claim to be, we should be brave enough to educate ourselves about what we are so quick to forget is what has been a part of our rise to the top. 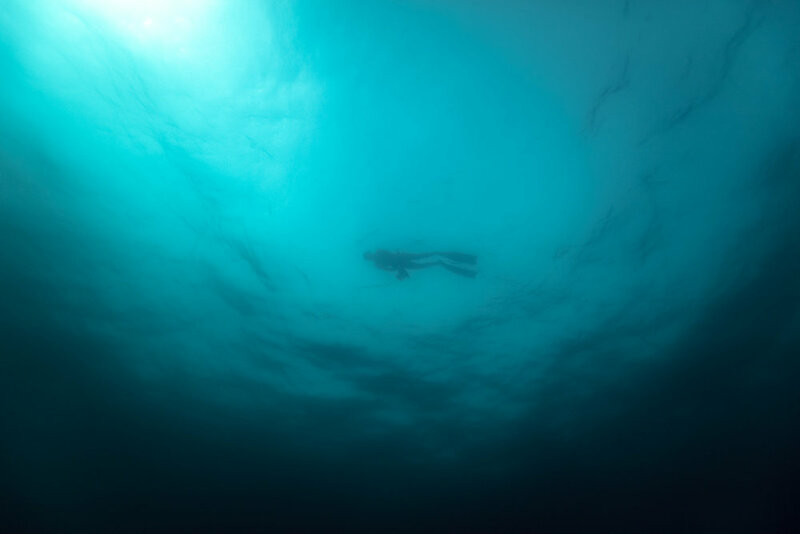 From the moment Steve invited me, until I saw my first shark swim up to me that day and then move off to carry on with its life, I was riddled with fear of something unknown to me. Stepping up to the plate and overcoming and beginning to understand that fear gave me huge sense of achievement, but that very quickly fell away when I realised that I had lost this ability to see the bigger picture as a human being and there is so much more out there that slips past each and every one of us day after day. I have been deeply humbled by the ocean, something I naively thought I had “mastered”.